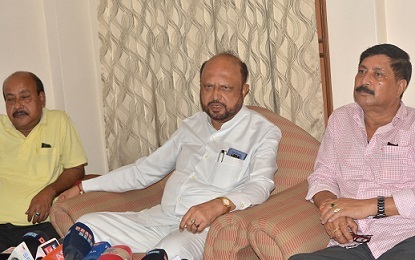 Former Assam chief minister and founder president of AGP, Prafulla Kumar Mahanta, on Wednesday advocated introduction of Inner Line Permit system in Assam and said the state has become the dumping ground of illegal migrants. He was reacting to the incidents of drive against suspected illegal migrants in the states of Arunachal Pradesh and Meghalaya. Mahanta criticized the government for its stoic silence on the issue as these illegal migrants after being driven out of these two states enter into Assam. “Mysteriously the state government is silence on the issue,” Mahanta said. In 2016, Mahanta, appealed to the centre for special constitutional safeguard in the Citizenship (Amendment) Bill, 2016 in line with the Inner Line Permit (ILP) system to protect the indigenous people of the state. He was then leading a delegation under the banner of Asom Andolan Sangrami Mancha. According to Mahanta Assam bore the burden of foreigners till 1971 and needs similar safeguards that are prevalent in the states like Arunachal Pradesh, Nagaland and Mizoram. These three states have the Inner Line Permit system which restricts the entry and stay of ‘outsiders’. The former Assam chief minister also criticized Assam BJP president Ranjit Das for his statement on NRC saying that ‘Ranjit Das should not have made such statement’. Ranjit Das on Tuesday said it is not possible to publish final NRC on December 31.